Disciple Driven Church is preaching for revival and reformation. 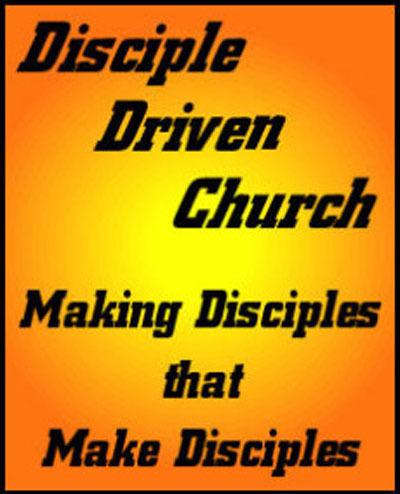 Don’t be confused – this is not a church health, church growth, or discipleship program. This is not even a church or a denomination. This is a call to refocus every Christian on their personal consecration before God and the responsibility that comes with entering into the New Covenant with Christ. We think God's design for His church is the answer to every problem facing mankind. When the church operates by God's design, great things happen. We exist to facilitate reformation by teaching people to return to God's design for His church. We assista people in launching Biblically functioning faith communities across America. The Church was designed by God to operate in an organic way. Christianity is a way of life not a religion of rites and rituals. We are simply returning to the book for our instructions. The rest of this site is dedicated to your personal exploration of God's design for you as a Christ follower and His church as you join with others in community. Explore it prayerfully and if you find God speaking to you through what you find here please contact me. There is nothing to join here just a proclamation of truth and an offer to help you find what has been covered by years of corruption and tradition.